While studying layers and shapes of stone, carved and polished by the force of watershed rim extremely arid country, I made a self-portrait for scale. 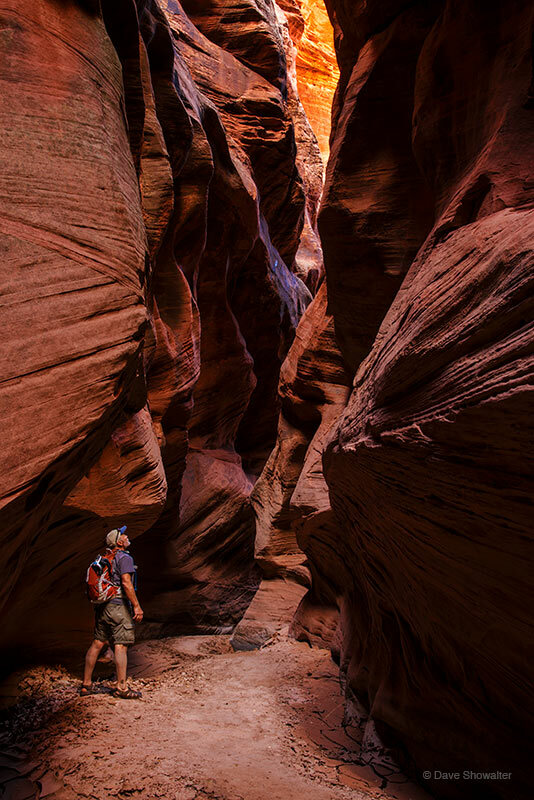 Buckskin Canyon is one of the longest and deepest slot canyons in the world, created by flash floods over millenia. Photo © copyright by Dave Showalter.